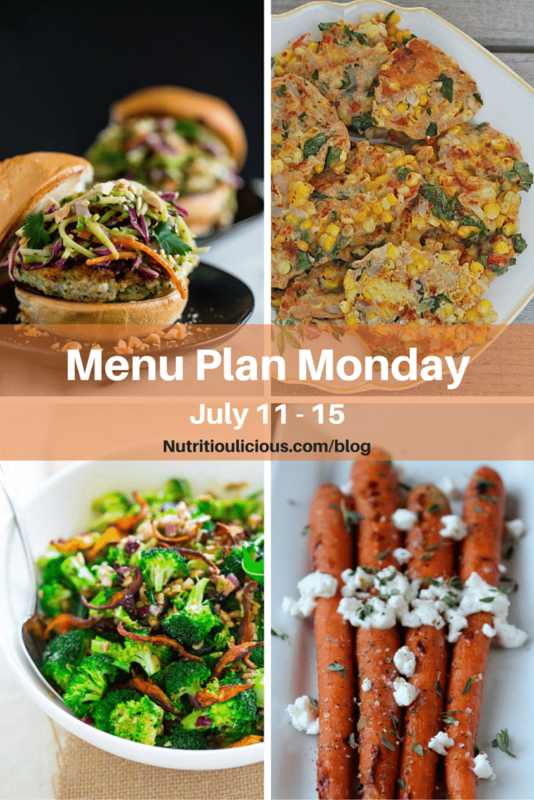 This week’s Menu Plan Monday and Link Love to educate and inspire you! Hope everyone had a great weekend! Sorry if you missed Menu Plan Monday last week. Long weekends get in the way of my posting sometimes. I’ve been trying to be better about not working on weekends and holidays so that my kids don’t see me attached to the phone/iPad/computer at all times and to give myself a break too. Menu planning does still happen, but it’s not as formalized as the weeks I post here. I’m still getting used to the fact that the kids aren’t home for lunch, so I’ve had a lot of leftovers to use up and have been basing most of my meals on what’s in the fridge. I didn’t even do a full grocery shop today because I have so much food in the house and I’m working on the goal to #EndFoodWaste! Last week I received a sample bag of farm-fresh produce from Field Goods, a relatively new subscription-based service that delivers produce from small farms to consumers in parts of New York, New Jersey, Connecticut, and Massachusetts. You may have seen my collage of what I received over on Instagram or on Facebook. I was most excited about the squash blossoms (pictured below), which I have only ever had at restaurants and made at home this past Friday. I stuffed them with a ricotta cheese mixture and quickly pan-fried them. They were so delicate and delicious! The blueberries are all finished up and the other produce from the bag will be used this week. That’s a brief little summary of what’s been going on in the Nutritioulicious household. Make sure to check out some of my recent posts for other stuff you may have missed in the past two weeks. Now let’s get to this week’s Link Love and Menu Plan Monday! ⇒ I’m not the best at practicing self care, although I’m trying more lately by taking time to exercise more often than I had been. Love reading tips from my fellow RDs in this post. ⇒ Great rundown of important things to know about fat. Most importantly – fat is not the enemy! ⇒ If you read my recent post Why It’s Okay to Eat Non-Organic Strawberries, you know I don’t believe you need to spend money on organic. Dixya elaborates on this in her awesome post that answers the burning questions about organic food. ⇒ Whether you are a full-on vegetarian or just enjoy vegetarian meals a few times a week like I do (e.g. Meatless Monday), Alex’s post will help you keep your pantry full of nutrient-rich and delicious vegetarian staples and give you some great ideas for quick vegetarian meals. ⇒ I love myth busting and here are six food myths you may be surprised to see discussed. ⇒ Comments about a child’s weight have been found to be linked to body dissatisfaction in adulthood. If you’re concerned about a child’s weight, role model healthy behaviors, but don’t comment on it. ⇒ Like Sara, watermelon signifies summer fun for me and it reminds me of my childhood. Can’t wait to make this grown up dish! ⇒ I’m so happy it’s cherry season! Get some great ideas for what to make with this delicious stone fruit, including my Spicy Fresh Cherry Chutney! ⇒ Find out the best flavor pairings and how to use your favorite summer produce in Stephanie’s guide! ⇒ These savory waffles look delicious and I love the flavor combo. I don’t have a waffle maker, but I’m going to try to make them as muffins or a loaf of bread! Thank you so much for including my Fat Article in your marvelous Monday Menu Plan article, and those squash blossoms look delicious! You are most welcome Emily! Was a great article! Have a wonderful week! I hope you had a great weekend! I definitely hear you about unplugging a little bit, especially around our girls. Your stuffed squash blossoms sound fabulous! So many of your links this week were my favorites too, and like you wrote, Dixya’s post was awesome! Have a wonderful day and enjoy those Thai burgers tonight- YUM! Thanks so much Sonali! I wish I had finished making the stuffed blossoms early enough to photograph, but I’ll have to get some more and make it again! It was so delish! Hope you had a great weekend and have a wonderful week as well! Thanks for including my savory waffles!! Can’t wait to check out these other great resources and recipes! You’re most welcome Kathryn! Enjoy the other links! And they are SOOOOO good! Those corn and basil cakes look fabulous! I have got to try them! Thanks so much for including my carrots in your Menu Plan Monday! 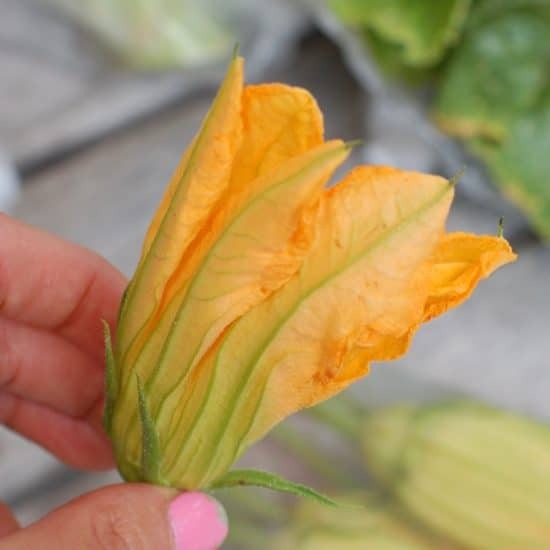 I need to get my hands on some of those squash blossoms, too. I’ve never tried them! Thanks so much Kaleigh! Hope you try the corn cakes soon and also hope you get some squash blossoms. They’re a rare treat and so delicious!